When will the nxt book from the Renegade Angels series be released? It was originally scheduled for release in February of 2013. 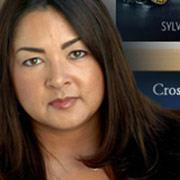 Now, Sylvia Day says it’s on hold until she finishes her Crossfire series. There are no new ones schedules for release. Someone asked Day about it at a panel where I heard her speak at RT. She said the series is pretty much on hold while she works on her contemporary romance projects. I have read all u books and can’t wait. For a taste of seduction. U got me hooked with ur books. I have waited and waited for Taste of Seduction! Please hurry,Love the series! I’ve now re-read the renegade angels novels a few times, each time hoping that by the time I get to it a taste of seduction will be released. This is so frustrating and quite an insult to fans. Kindle. When will A Taste of Seduction come out? Please, I’m hanging by a thread here. It’s already April, 2017, and I have yet to find out what happens to Lindsay, Adrian, and all the rest!